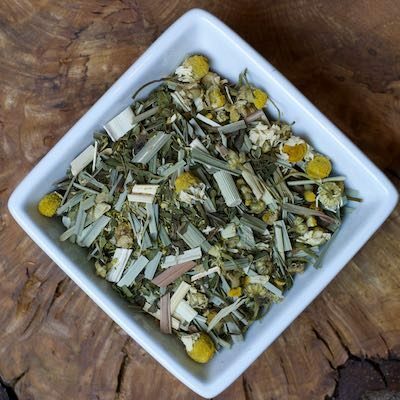 Organic chamomile, peppermint and lemon grass make for a winning combination of flavors—-an evening tummy-tamer for sure. This herbal has been a favorite since I opened. No caffeine.